32nd Match of World T20 Cricket 2014 (Pakistan vs West Indies): 32nd Match Of International Twenty20 World Cup Cricket 2014 is held between Pakistan And West Indies (PAK vs WI) on 1st April 2014. This is a match of Group 2. West Indies won the match by 84 runs. West Indies (WI) got 2 points and Pakistan (PAK) got zero points for the match. West Indies vs Pakistan (WI vs PAK): West Indies won the toss and choose to bat first and made 166 runs 6 wickets in 20 overs at 8.30 runs per over. Pakistan fails to chase the target and got all out in just 82 runs in 17.5 overs at 4.59 runs per over. Thus West Indies won the match by 84 runs. 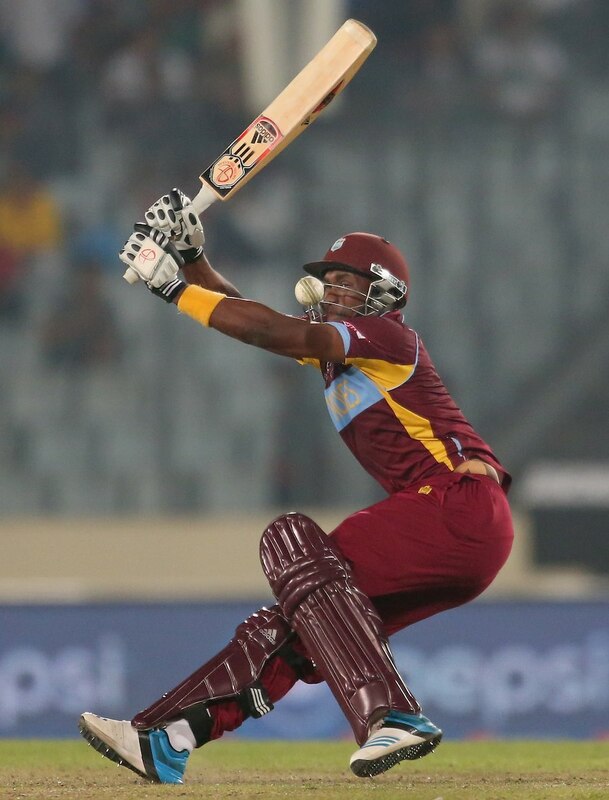 Dwayne Bravo (West Indies) is declared as player of the match.